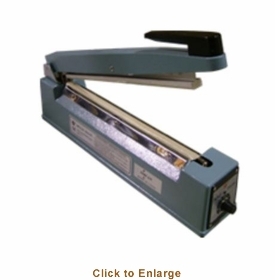 You�re viewing our Omcan manual impulse bag sealer with 12" bar. Omcan's bag sealer is the perfect choice for sealing food products in grocery stores, produce sections, retail stores and used for industrial sealing. The sealing machine needs no warm up, simply plug in and start sealing bags. The unit comes with an adjustable time and light indicator that alerts you when the bag seal is tightly sealed and ready to go. 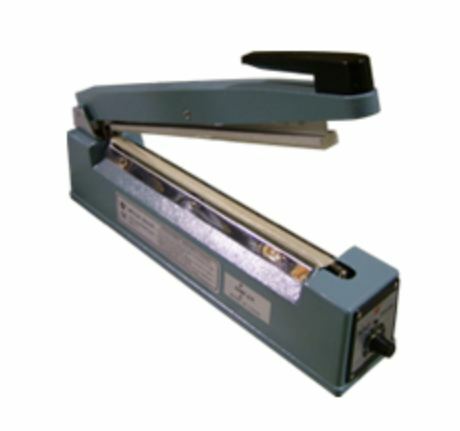 Our Omcan manual impulse bag sealer with 12" bar comes with a manufacturer warranty. We are available to answer any questions you may have about our products. Packaging dimensions: 19" x 5" x 8"